Sure, you could use the same old PowerPoint templates for your next business presentation. It's not like you have bosses or investors to impress. Oh wait, you do? Time to augment that slideshow with Slideshop - the presentation tool that can individualize your pitch while saving you time. Compatible with PowerPoint, Keynote and Google Slides, Slideshop makes the process of preparing your visual aids as easy and creative as it should be. 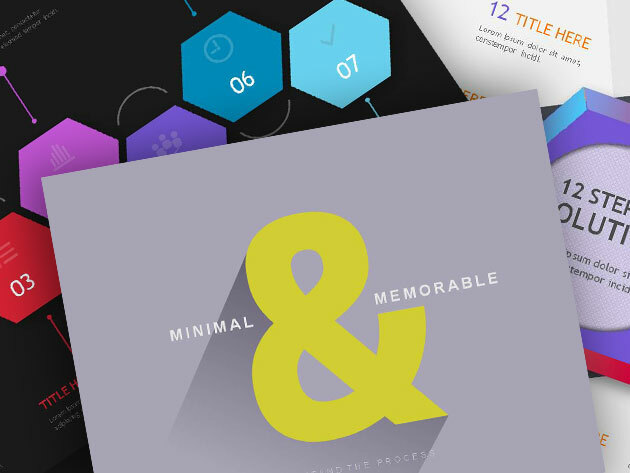 Users can choose from a core library of more than 15,000 modern, eye-catching slide templates to tailor their show to the content. Creating and customizing charts and infographics are easier than ever with Slideshop's intuitive editing tools, allowing you to spend more time on your business and less time prepping for the pitch. Best of all, Slideshop is on sale now for $29.99.